As I sit here gently sipping a delicious Bombay Sapphire Ultimate Gin & Tonic ® I'm reminiscing back to last Wednesday, when I was invited along to Soho House for an exclusive early look at the five winning short films from the 2014 Bombay Sapphire Imagination Series: Film Competition - ahead of their world première today, Tuesday 22 April at Tribeca Film Festival in New York. If you are a regular reader you may know that I went along to the London launch of the first Bombay Sapphire Imagination Series: Film Competition hosted by Bombay Sapphire's Lindsey Charlesworth and Oscar winning screenwriter Geoffrey Fletcher. Fortunately in London there are many film making competitions that anyone wanting to pursue film making and willing to put some work in - can find, but much like their brand the Bombay Sapphire Imagination Series: Film Competition is a premium competition. It has the fewest barriers to engaging your imagination and requires very technical know how of filmmaking to enter - allowing aspiring filmmakers to focus on the things that matter. You see all you need to enter the prestigious Bombay Sapphire Imagination Series: Film Competition is to apply your imagination as half the work is done for you already. To enter the Bombay Sapphire Imagination Series: Film Competition all you have to do is get hold of the skeleton script written by Oscar winning screenwriter Geoffrey Fletcher, you can see this year's script below, and flesh it out into a short film story. If your story is chosen you'll work with Bombay Sapphire creative partner Gravity Road to bring it to life as a six minute short film. Simple! Or as UK winners Anthony Khaseria and Chris Cornwell let us know in a short QA afterwards it really isn't all that easy. After Cocktail and canapés we headed into the screening room for a short introduction to the Bombay Sapphire Imagination Series from Gravity Road Founder Mark Boyd hosted by film critic James King. 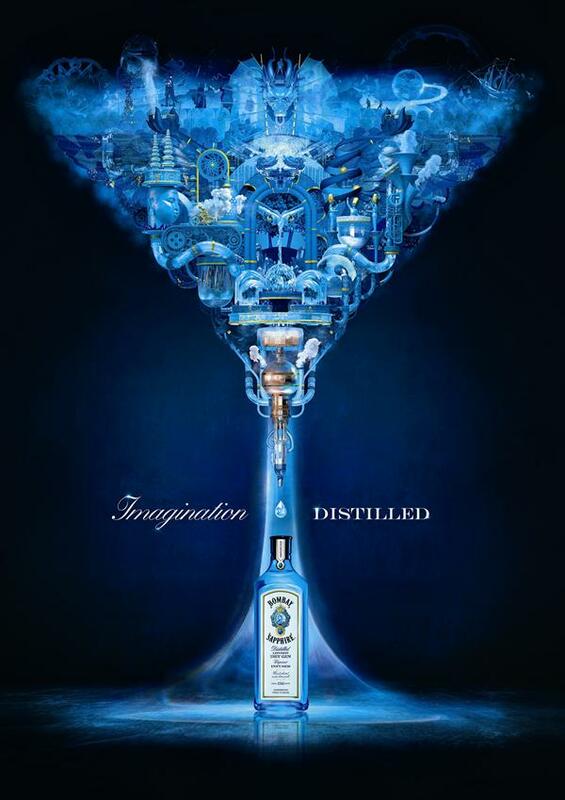 Imagination was important to the Bombay Sapphire brand and product because it has always been part of its long history. From the original vapour infusion process to make gin through to how they package their bottles in it always been a key value. So the thought developed along the lines of why couldn't we create a competition that would spark the imagination of people who were interested in film? So that was the origin of the project. James W. Griffiths one of last years winners, couldn't be here tonight because he is working on a big budget ad campaign. James' career has taken off in a big way, last year he was shortlisted and then went on to win a BAFTA for Room 8. He is doing fantastically well, he took this opportunity and was able to give up his job and is now a fulltime director and doing really well. We had a panel in Tribeca made of great directors, writers and producers and talented actors - the panel included Academy Award winning actor, Adrien Brody; screenwriter and film director, Lucy Mulloy; screenwriter, Naomi Foner; actor, Peter Facinelli; and senior curator at Vimeo, Sam Morrill. The brief was to just pick the most imaginative project and we would work out the production solution after, so they weren't constrained. It was really tough and it was like that scene from 12 Angry Men. There were 20 films at the end with very vocal champions that had to filter it down to these last 5. It was really exciting to be honest to get a sense of what people came up with with a limited amount of stimulus, just a springboard really. But before settling in to watch the shorts Bombay Sapphire had one more surprise to get us in the mood Bombay Sapphire UK Brand Ambassador (and master Mixologist) Sean Ware introduced us to a pleasure? a mix? of Gin based cocktails, each bespoke to enhance the mood and flavour of the unique short films. DRINKS TIP: Sean Ware assures us that Campari and the warm red drinks will be making a comeback this season. I'm not sure of how much an influence the delicious cocktails had on the evening but I was summarily blown away by the 5 short films. It is truly astounding to grasp the scope and variety of the films imagined all derived from the same source - Geoffrey Fletcher's skeleton script. Especially when you consider that these are the 5 finalist chosen from 1,300 entries from across 64 countries. psychological thriller. You won’t expect what happens next. graffiti artists start painting, the graffiti takes on a monstrous life of its own. Can they escape their own creation, or even themselves? Nate and Polly have the perfect relationship. A nice house, a white picket fence. There’s just one problem – the relationship is just a dream. In this light hearted comedy, Polly tries to find her dream date at a speed dating event. But will anyone live up to her dream boyfriend? A beautiful couple in beautiful surroundings - it should have been the start of the ultimate love story. But a romantic meal turns dark and fantastical when they discover a hidden mirror which shows their true reflection. In 2249, two space engineer’s journey through deep space takes a dramatic turn when they discover an emergency message from the past. They’ll have just three minutes to decipher the message and decide their fate forever. To choose one favourite would be difficult as each clearly had merits of its own. I enjoyed the dark wit of Kiara Jones' The Other Side of the Game. The streetwise special effects employed in Maite Fernandez's Graffiti Area were a winner on their own. Allyson Morgan's Need for Speed (Dating) brought the emotion whilst Reflections from Anthony Khaseria is twisted and a neat riff off an Tales of the Unexpected or The Twilight Zone style darkness. Chris Cornwell's taut sci-fi Exit Log is reminiscent of Heavy Metal or early 2000 AD Future Shocks which enthralled throughout. In the short QA afterwards James King explored the London based winners experience of the competition as well as their process process to come up with the stories. I really want to say no and just be cool. But I had nothing for ages as you can see there isn't much to go on - but it is oddly deceptive as there is clearly drama in the dialogue, there is a location and there are two people that aren't getting on with each other or the situation they're in. I used that as a starting point and worked backwards from there. Once the mirror idea came to me I figured out that A must be the one that doesn't want to be doing this, so for me it was more that persons story. So in the situation I made that was Alice and it was more her journey. Yeah but it was tough. I did I sat with a pot of coffee and I had nothing man. I nearly didn't enter. But something happens, there a little bubbles, suddenly one pops up to the surface and you want to grab it . You don't want to destroy it so you watch it for a while. And then it fell into place. I also drew little diagrams of the mirror and the two characters to make sure it made sense. I found it kind of scary, but it's actually liberating to have certain parameters to work within. So it was kind of fun to have these few lines which are open to interpretation. When you have something you can kind of enjoyed pushing it and having as much fun with it is possible I think with short film you can have an idea that is imaginative and can run with it for six minutes and have great fun with it. I think when you are trying to get 90 minutes out of an idea it might lose steam but with a six minute short you can go at a breathless pace." Mark Boyd added: We had a wave of almost every genre you can imagine and every time period from romantic comedies set in ancient Rome through to futuristic sci-fi themes. I'll go back to a comment Geoffrey made about imagination - "We are all born at imagination it's just that life gets in the way a lots of the time". We we felt that if we made it a competition about creating a theatrical feature it would appeal to a much smaller group. It's hard to carve out the time to apply yourself ... but a short film of only six minutes long - then that's the kind of thing people could tackle in a much achievable period of time. In the first year we had entries from 34 countries this year we had we had more than 1300 entries from 64 countries! Thousands of people registered online, downloaded the script and considered it, they took their own journey of imagination and they didn't necessary enter but we had people from all over the world engaging with it.